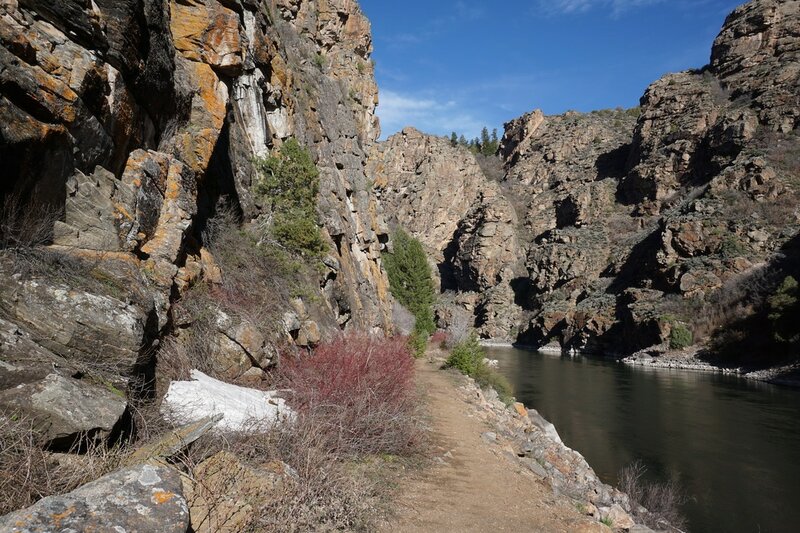 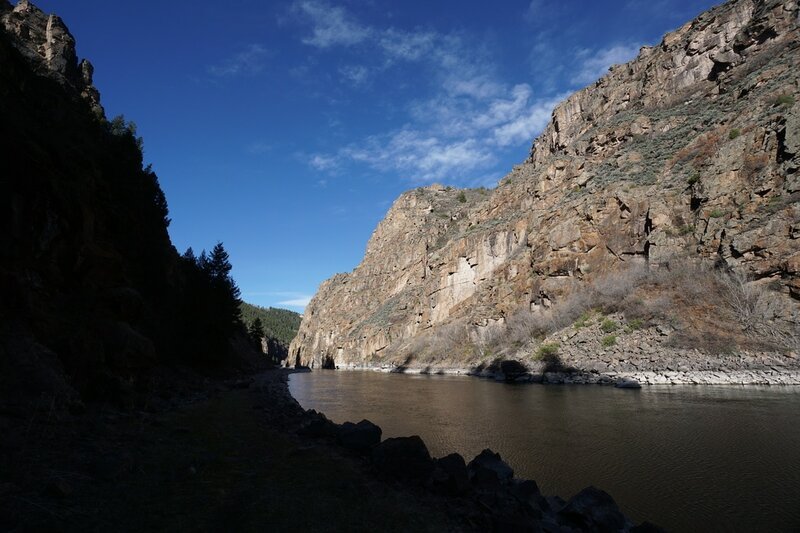 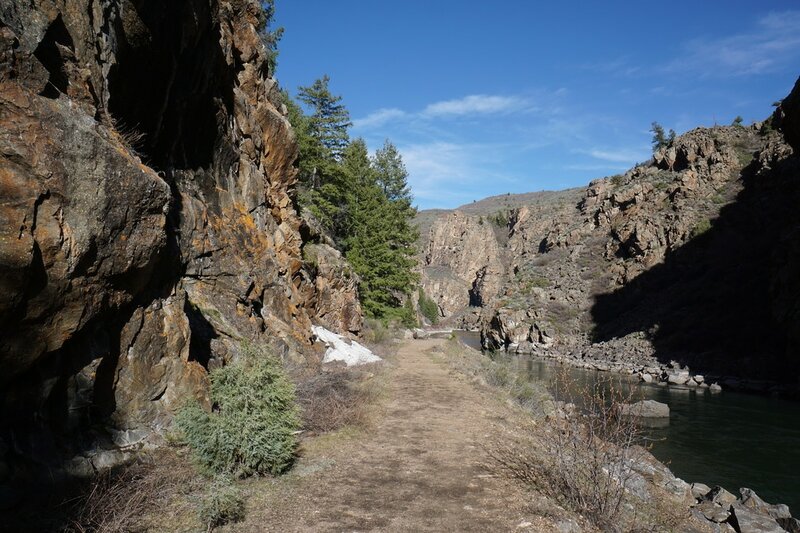 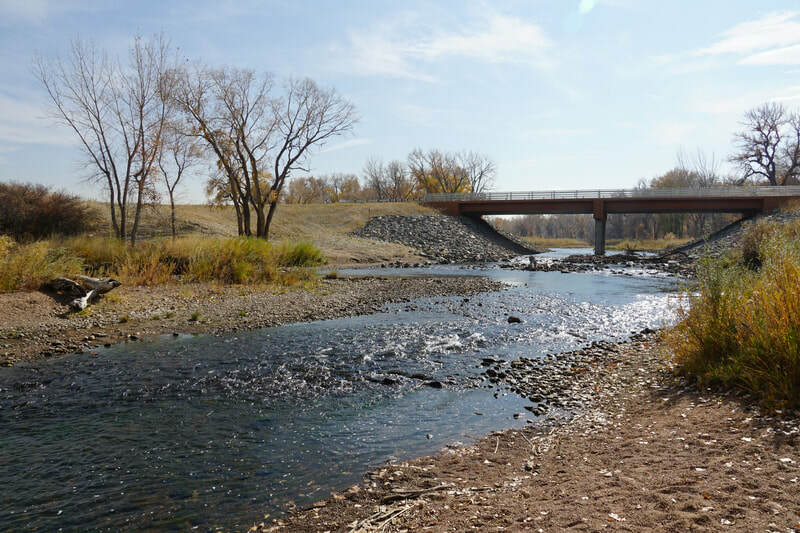 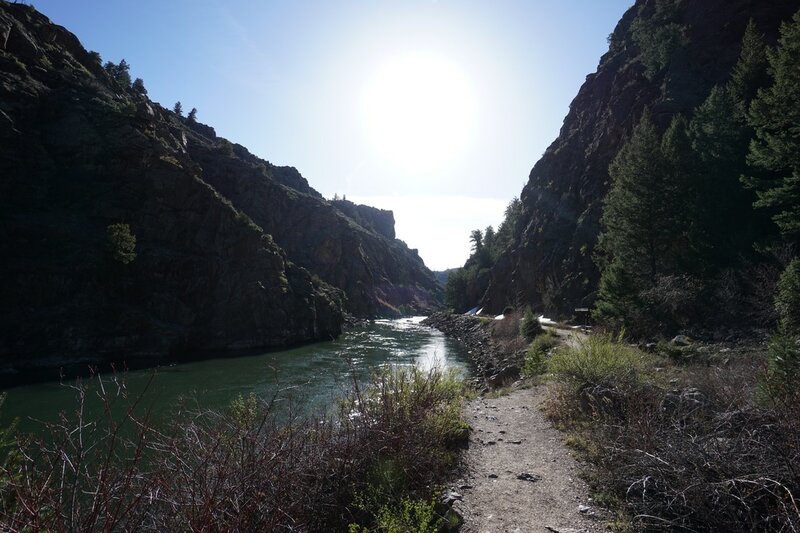 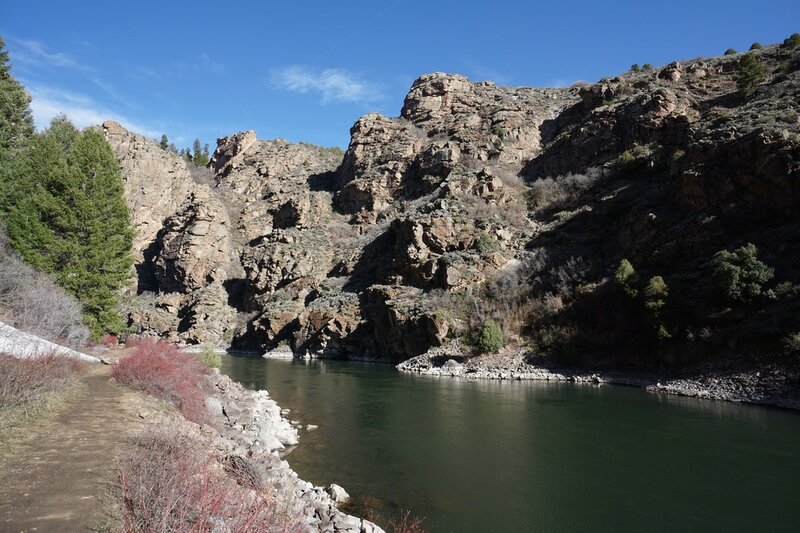 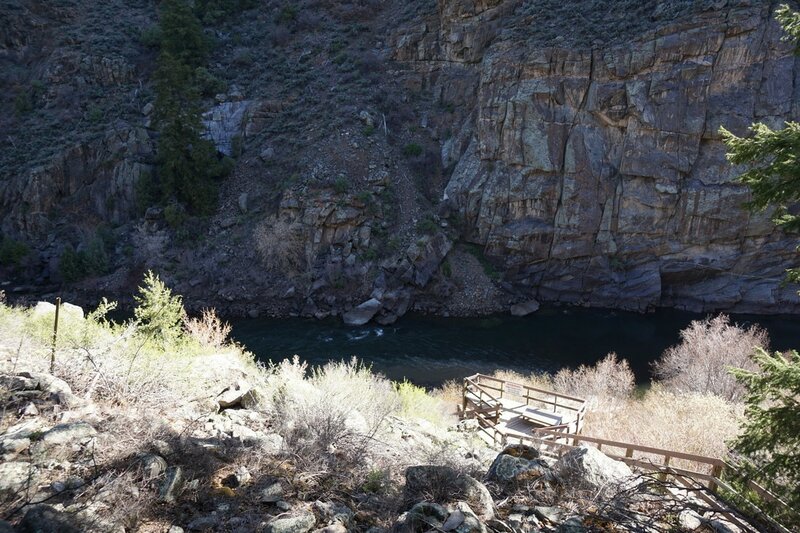 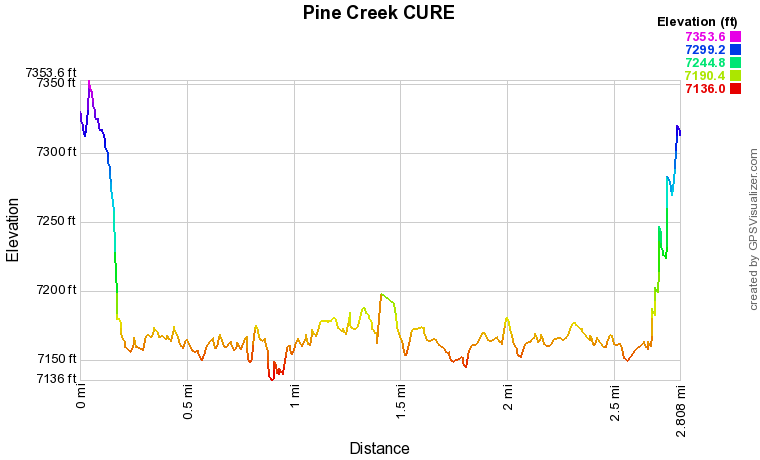 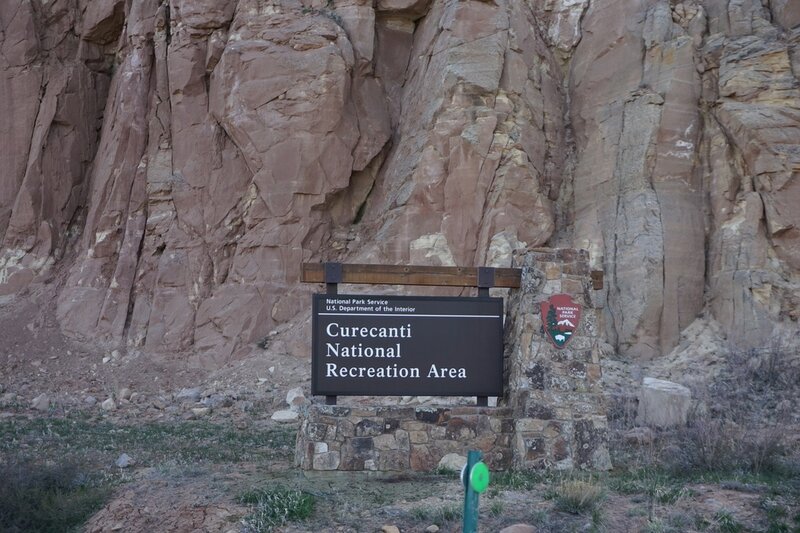 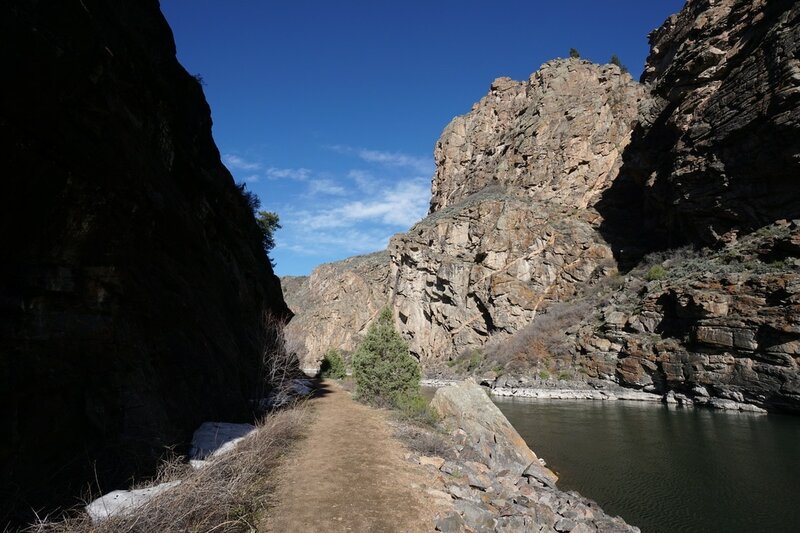 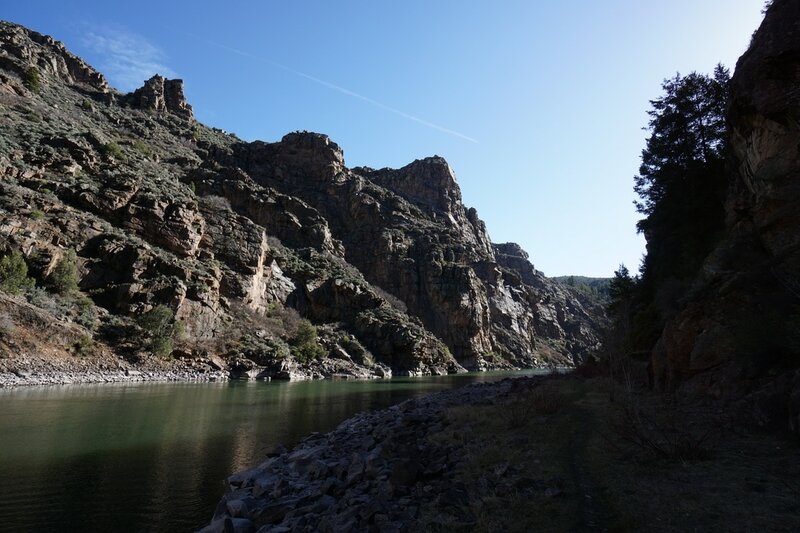 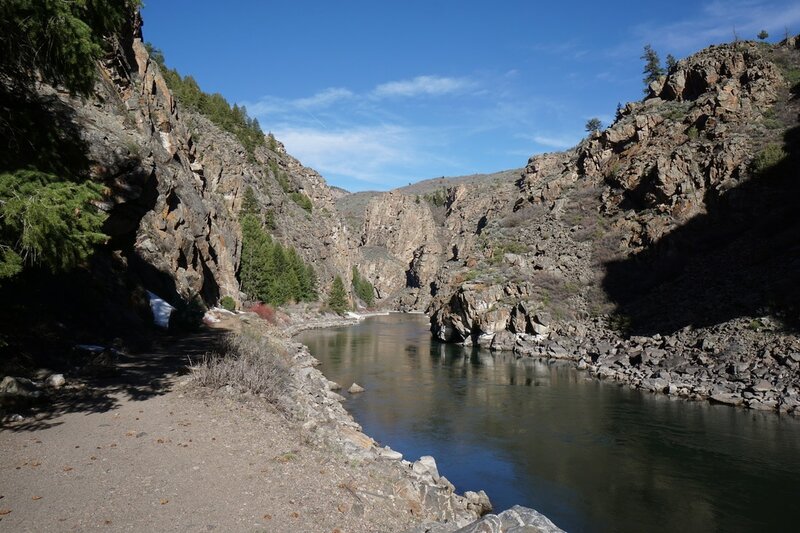 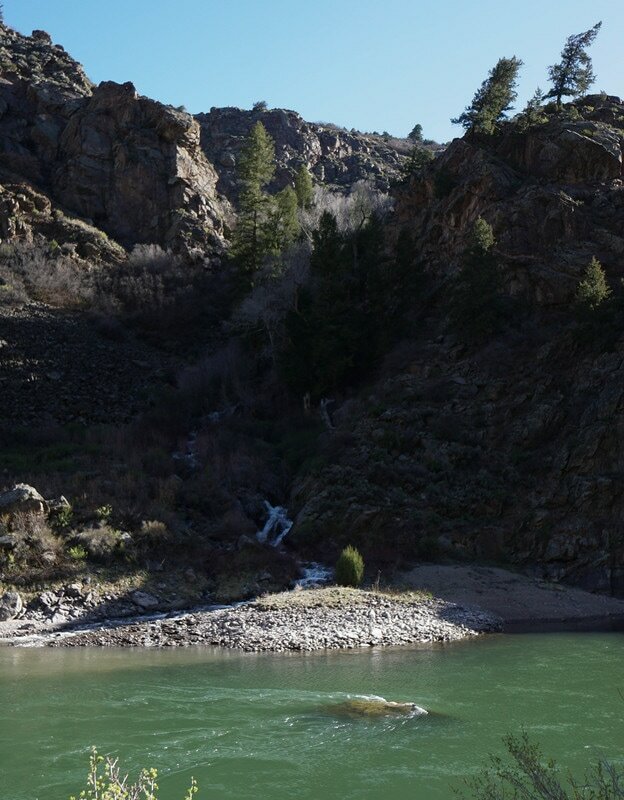 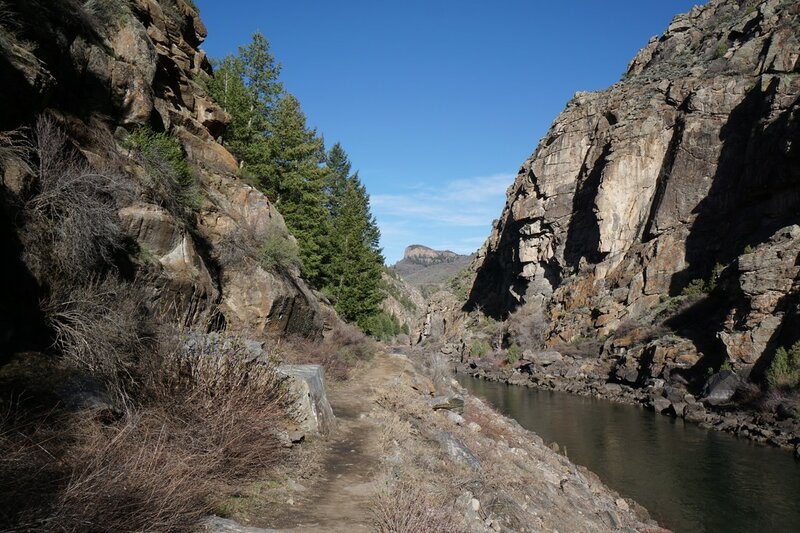 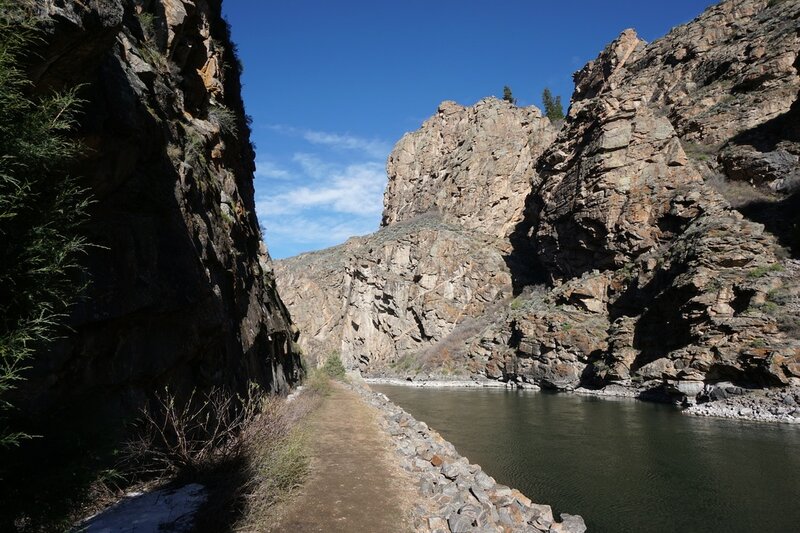 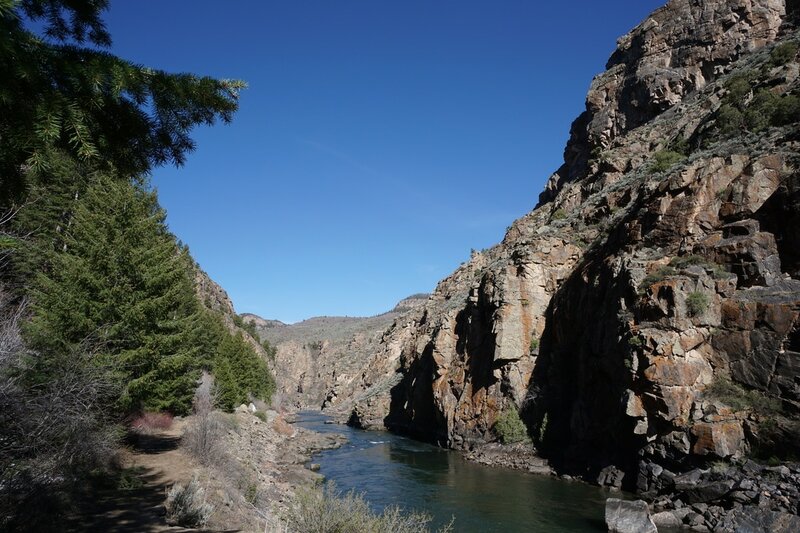 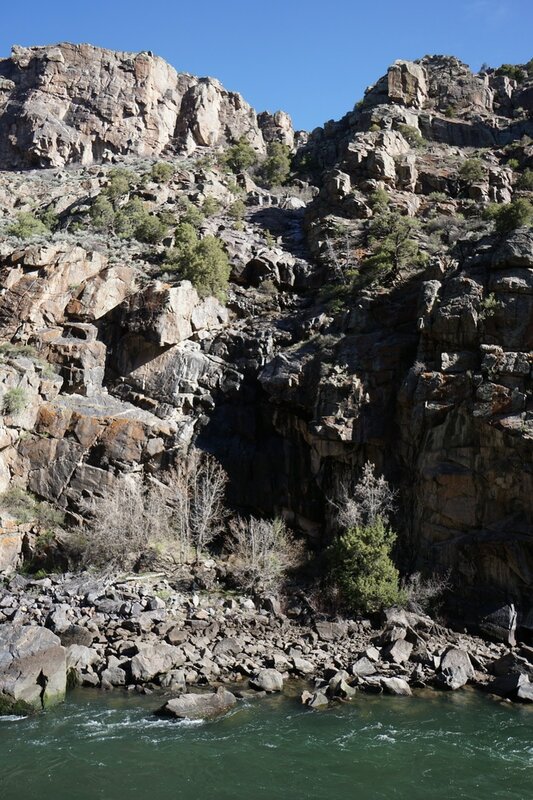 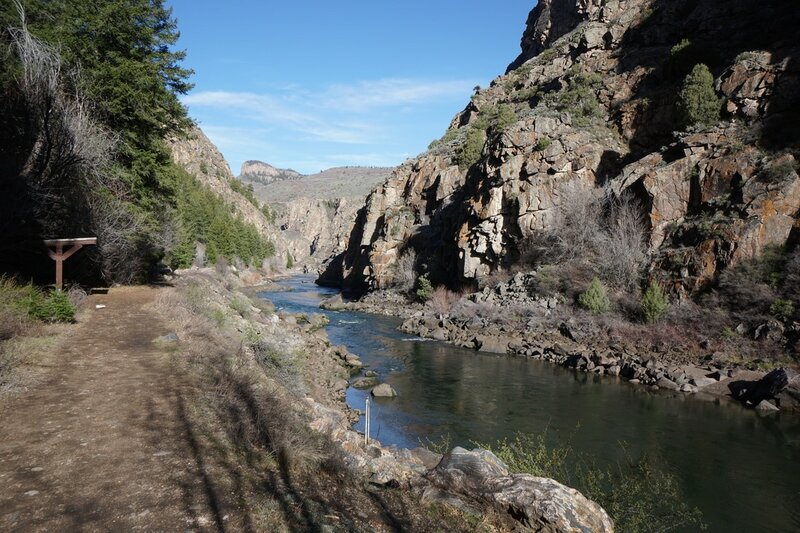 DIRECTIONS: The Pine Creek Trailhead is located off of Hwy 50 just west of the intersection with Route 92 which crosses over the Gunnison River. 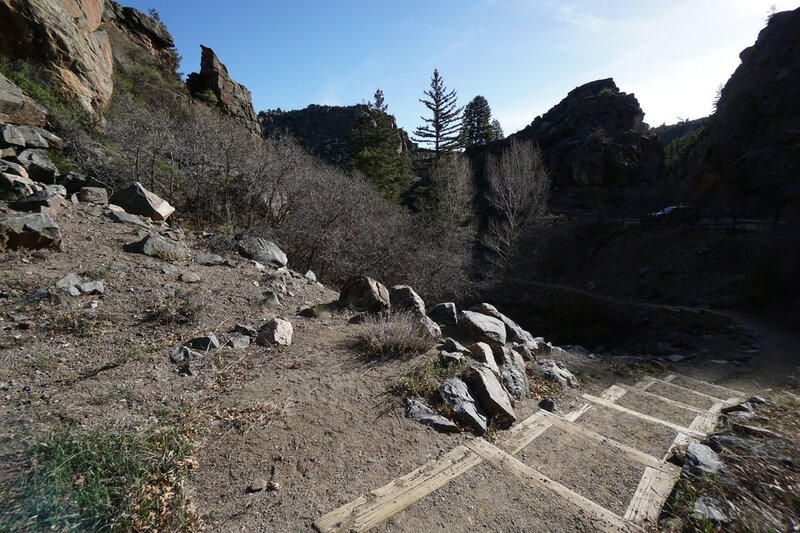 From Hwy 50, turn north at the sign for Pine Creek and follow the good, but steep, dirt road all the way down to the trailhead. 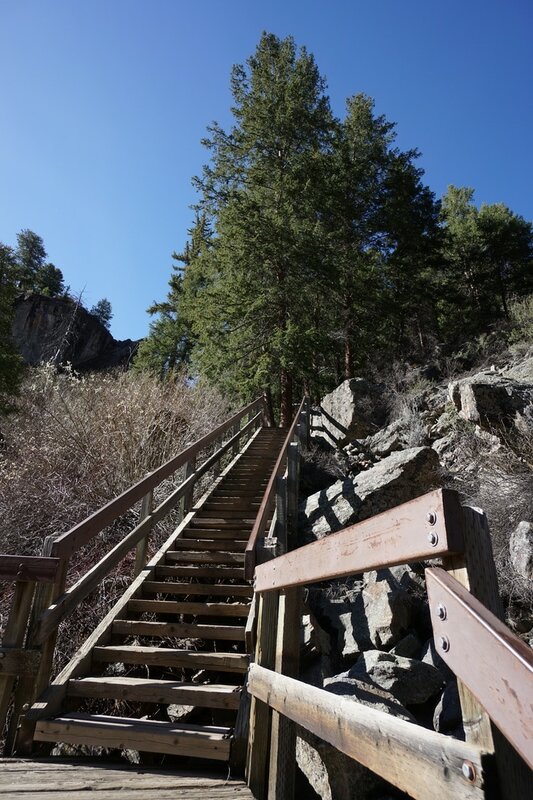 The trail starts by following a wood and stone staircase down 350 feet to the river. 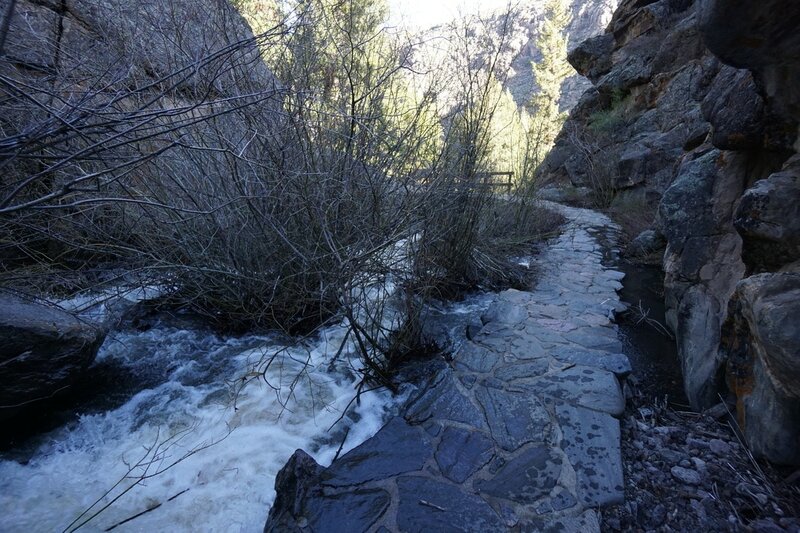 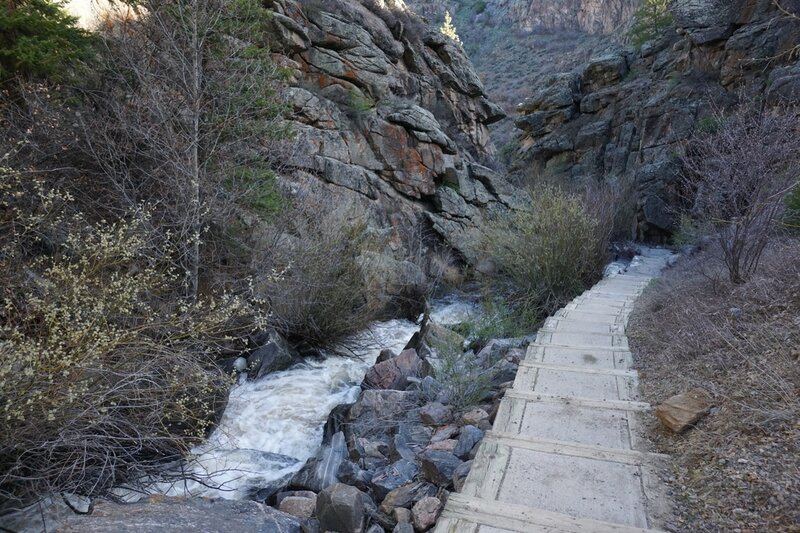 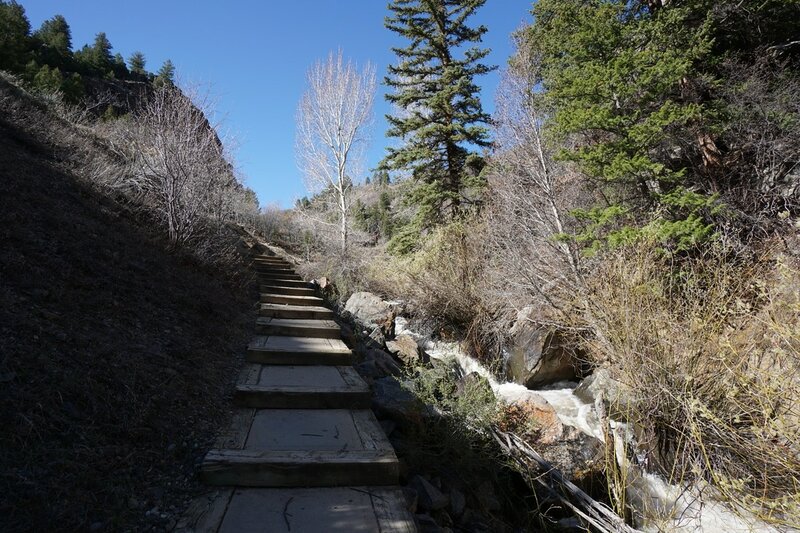 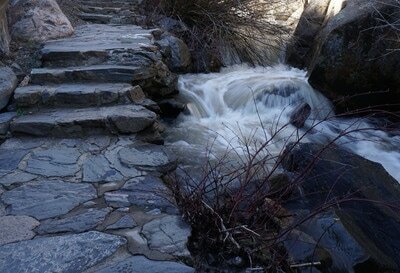 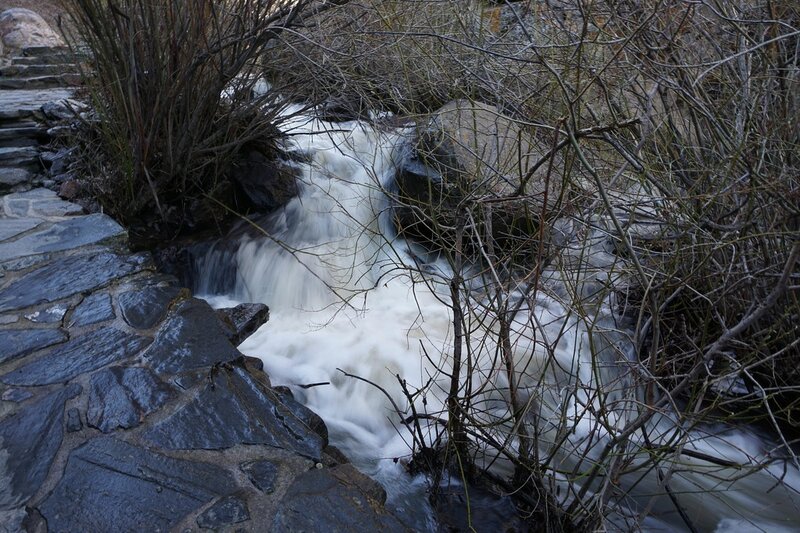 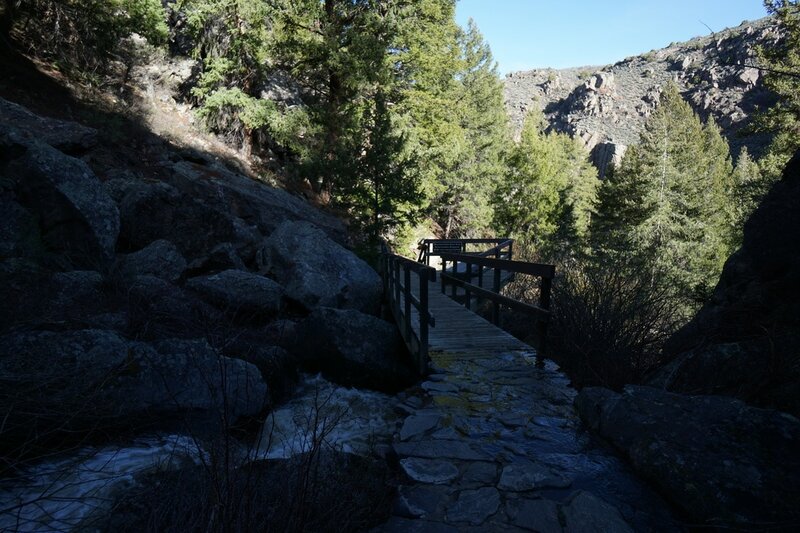 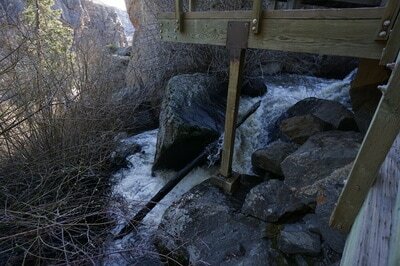 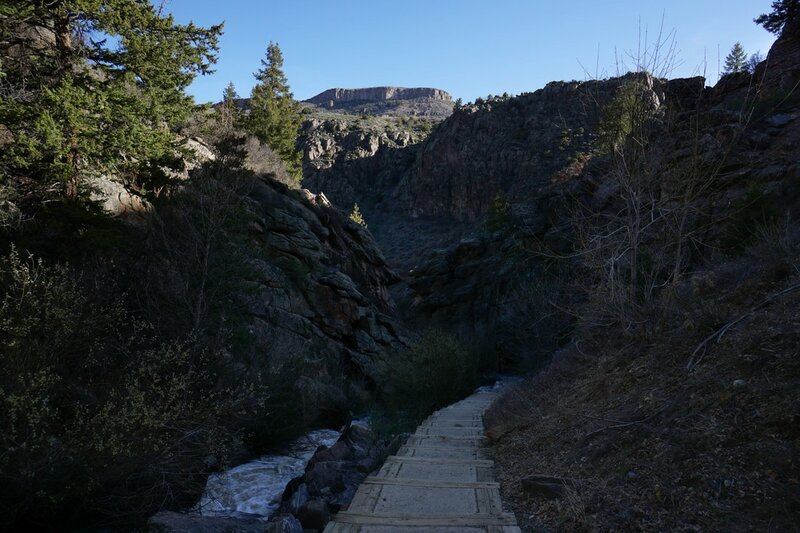 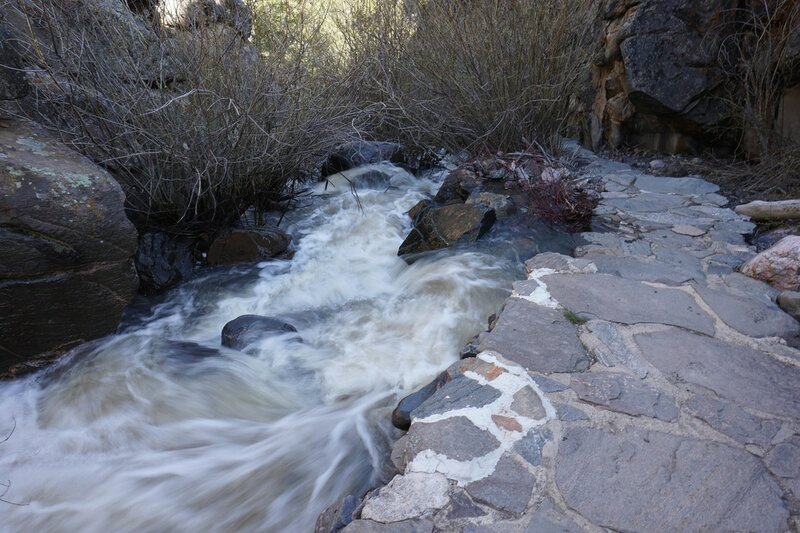 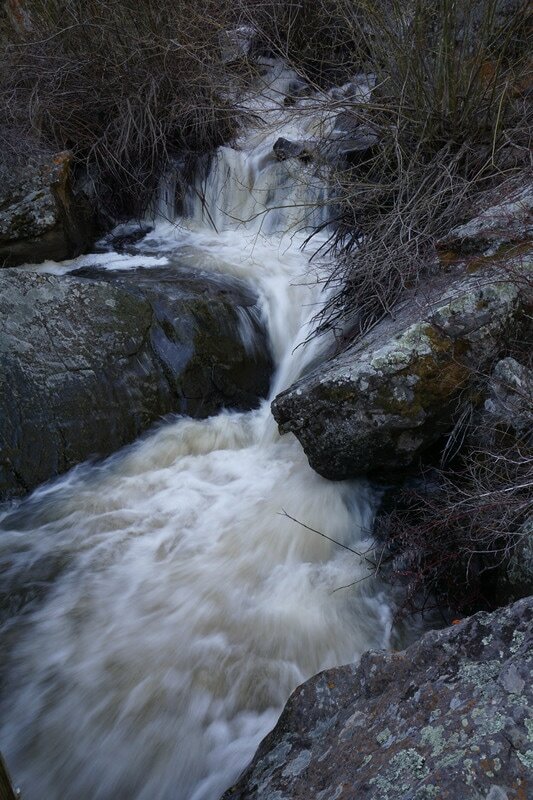 The staircase follows and crosses over Pine Creek, which in the early spring is a rushing torrent and waterfall. 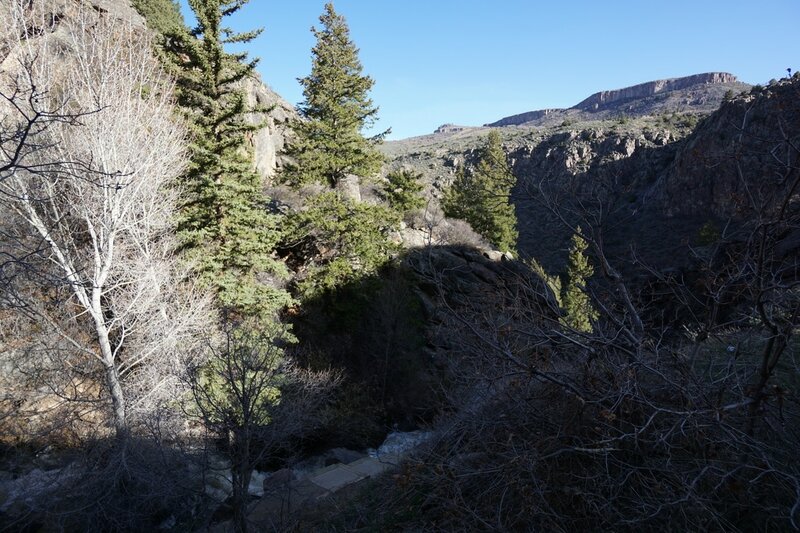 Due to the vegetation you never really get a good view of the waterfall portion of Pine Creek but the thunderous sound will stay with you at the bottom of the canyon. 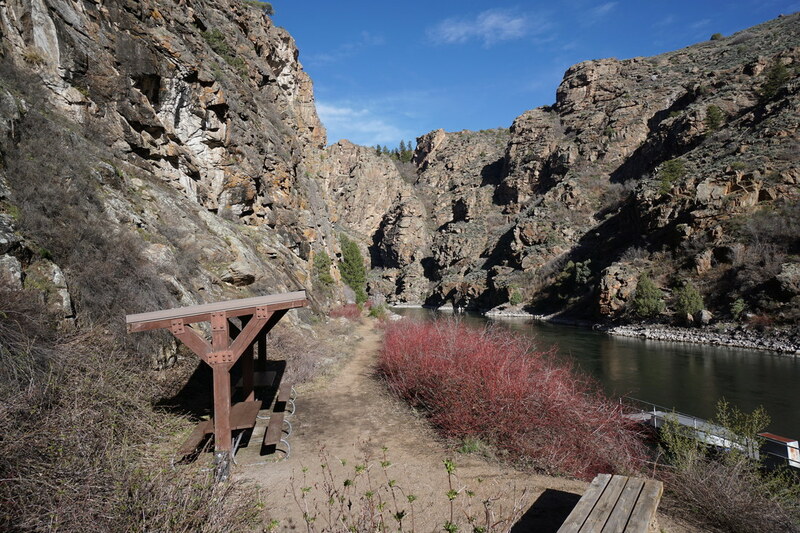 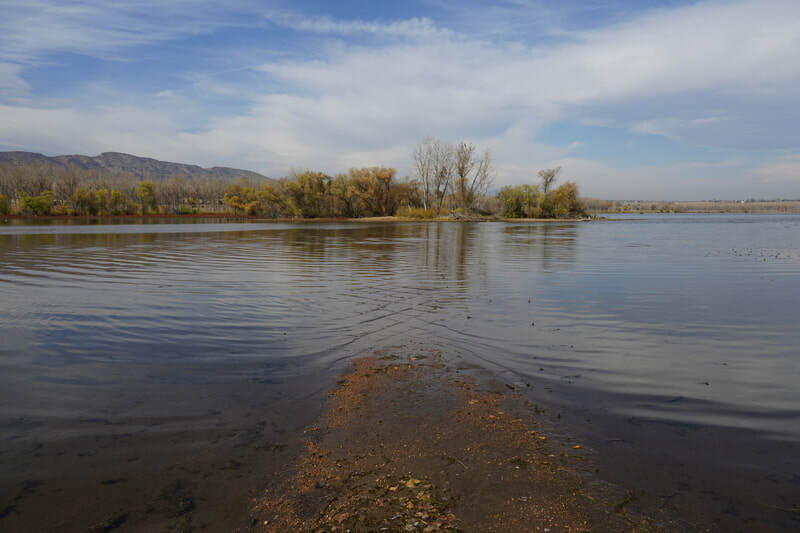 Once you reach the river, the trail turns to the west and you follow the placid waters for about 1 mile to the Morrow Point Boat launch. 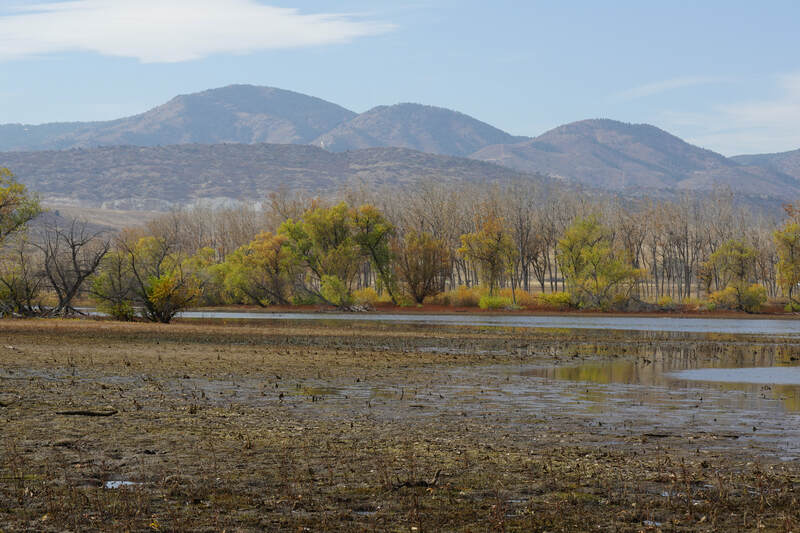 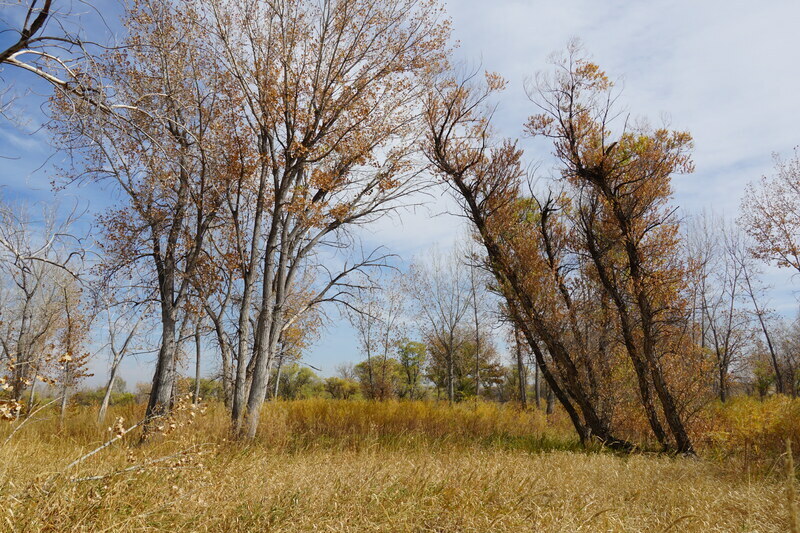 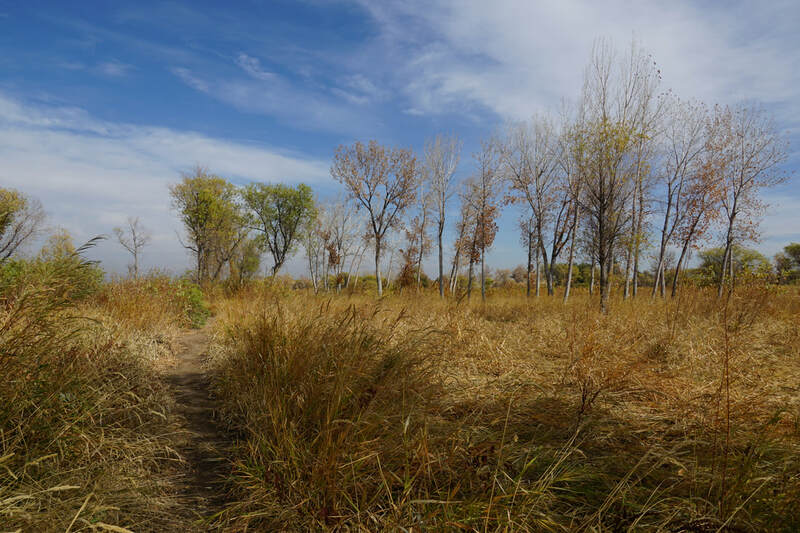 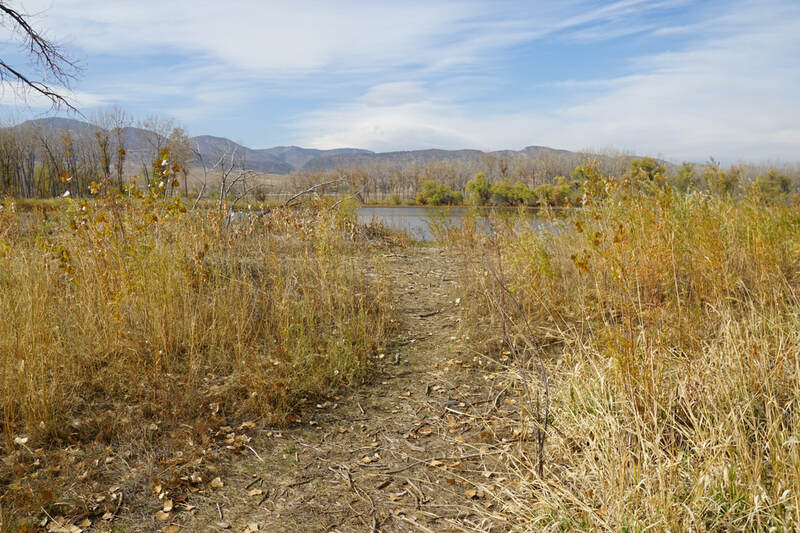 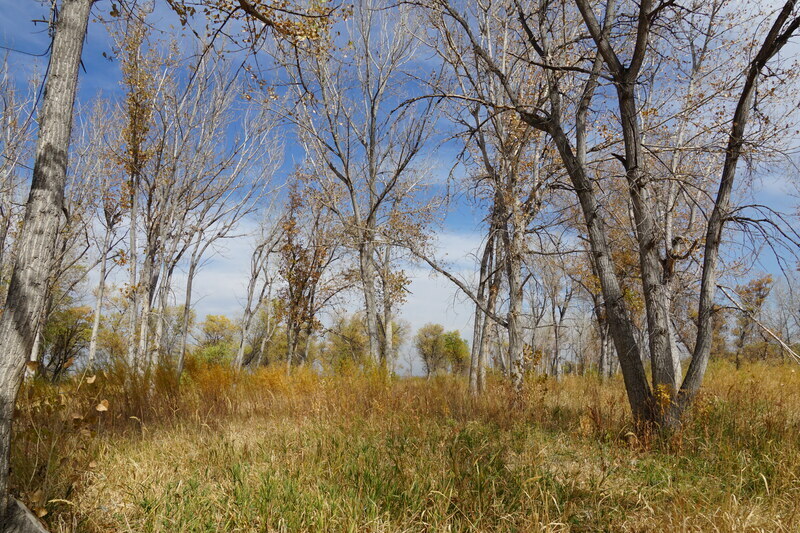 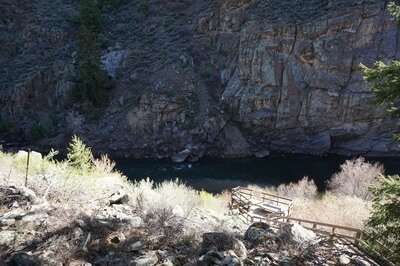 If you time this hike to avoid the boat launch foot traffic, then the hike will be very peaceful and quiet. If you are planning to take the boat ride, then you'll also have to do this hike, win win. The hike itself is easy and pleasant as the rocky canyon walls tower overhead in every direction. There are benches along the way and a bathroom at the boat launch. The trail continues past the boat launch for another .4 miles and explores more of the canyon before it ends and rocky boulders (which may or may not be covered by water) obstruct your way. This is the end of the hike. 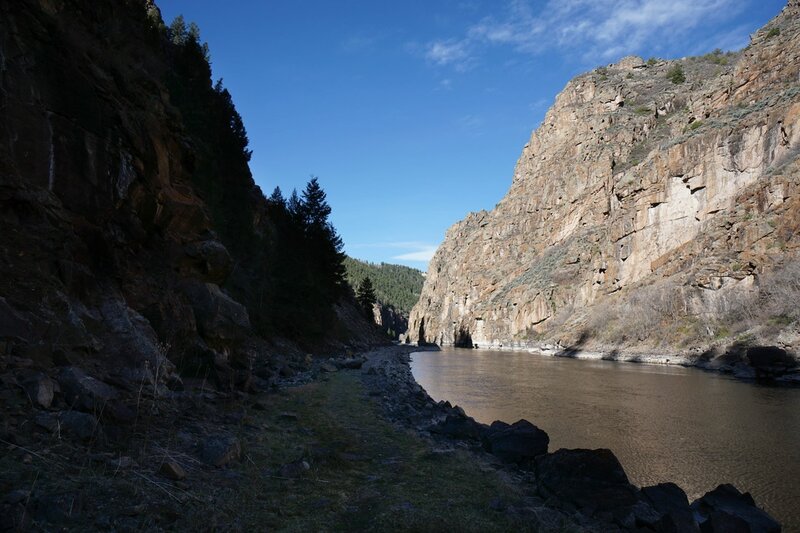 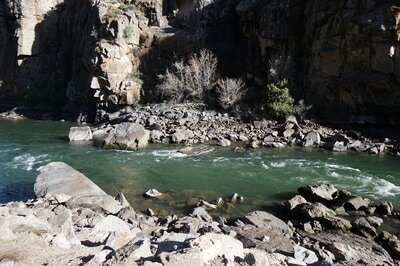 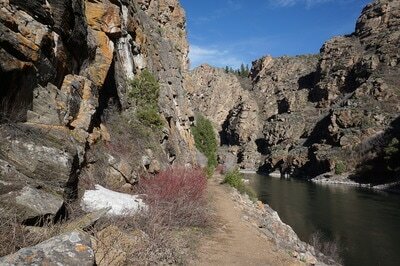 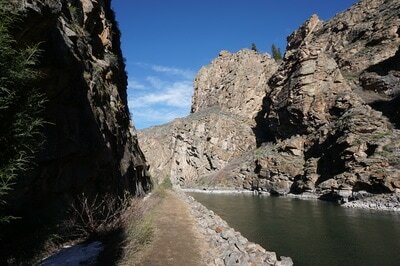 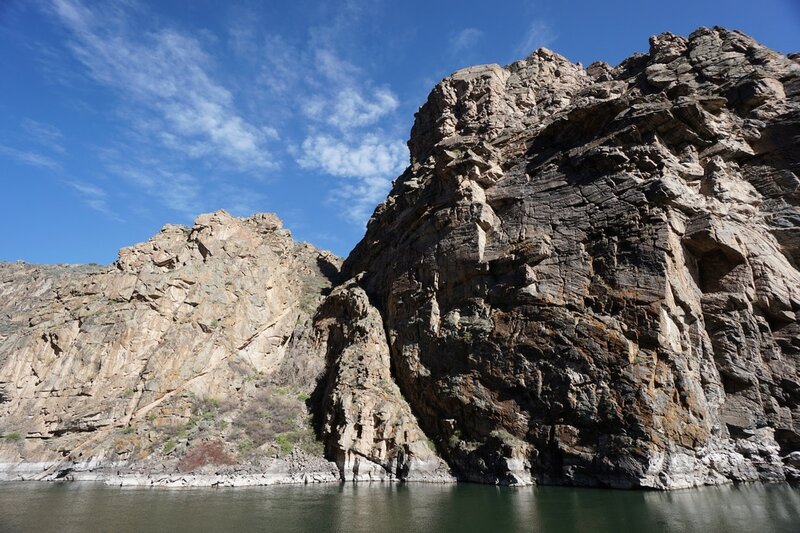 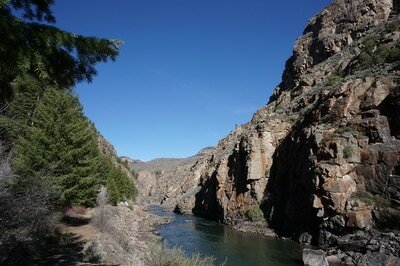 If you want to see more of this section of the Gunnison River, best climb aboard the boat.